This picture of the full moon was an easy shot with a tripod. I enjoy shooting space objects, but with my equipment I can only really photograph the moon. I focused manually, as the autofocus had a hard time figuring out what it was focusing on. Manual settings were used with a medium aperture and low ISO of 100. 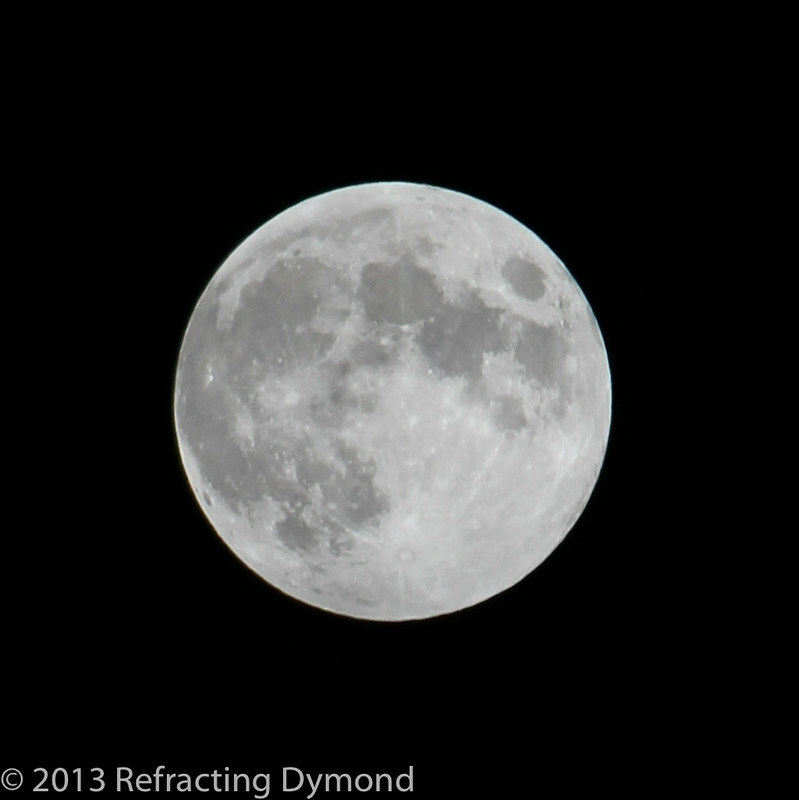 Due to the fact this was a full moon on a cloudless night it was very easy to get a good shot at 100 ISO.